info@archhighland.org.uk or phone 077888 35466. If you have any questions, do get in touch. Alistair Stenhouse is a mature postgraduate student at the University of Aberdeen, studying the archaeology of intertidal fish-traps in Northern mainland Scotland. His main focus of investigation is based on historical and archaeological research, however he would like to determine if any local memory of fish-traps exists today within your community. An 8-day bus tour from Skye to France and Belgium is being arranged for June 2018, visiting the cemeteries and memorials of the Western Front, particularly those where the Highland regiments suffered their most grievous losses including the Somme, Arras, Loos and Ypres. Weekend Conference 23rd-25th March 2018 in Inverness. With over 125 members, we are celebrating our 20th birthday next year. Our recent projects have included Rosemarkie Caves ('Rosemarkie Man') and Tarradale Through Time, with exciting discoveries of national importance. LOOKING BACKWARDS, LOOKING FORWARDS On Saturday 24th March 2018 in the Highland Council Chambers, will be a review of 20 years of Highland's community archaeology and an attempt to peer into the next 20 years. What will change? What will we be doing then? Treasure Trove Scotland – Protecting our archaeological heritage for the benefit of the nation. Chance discoveries of artefacts by members of the public have the potential to make a significant contribution to our understanding of Scotland's past. The role of Treasure Trove is to ensure that finds of cultural significance are protected for the benefit of the nation and preserved in museums across the country. If you have found an artefact while farming, gardening, or through hobbies such as metal detecting, bring it along to the Museum on the day and the Treasure Trove Officer will be delighted to discuss your finds and answer any questions you may have about the Treasure Trove system. HIGHLAND ARCHIVE CENTRE, INVERNESS, IV3 5SS. High Life Highland and the University of the Highlands and Islands are co-hosting this open and free study day with the First World War Centenary Partnership, led by Imperial War Museums, and Gateways to the First World War. The aim of this event is to bring community and academic audiences together to learn more about current research on the impact of the First World War on the Highland and Islands, the archival and digital resources available to those planning to conduct their own research and centenary funding opportunities for community projects. It will also provide an opportunity for organisations to reflect on centenary activity so far in order to shape and inform future work, and will provide opportunities for discussion about best practice, planning for forthcoming anniversaries and networking. Fossilised footprints and bone remains found on the Isle of Skye show that rarely-preserved Middle Jurassic dinosaurs once roamed there. With 15% of all mid-Jurassic discoveries worldwide made on Skye, Scotland's 'Dinosaur Isle' has become an important geological heritage site in recent years. 165 million years ago, the island was part of the huge landmass of Laurentia, which also included North America. In fact, footprint evidence that matches the dinosaur species discovered on Skye have also been found in Wyoming. The areas on Skye where dinosaur remains and footprints are found today were once swampland, part of an estuary system - read more. 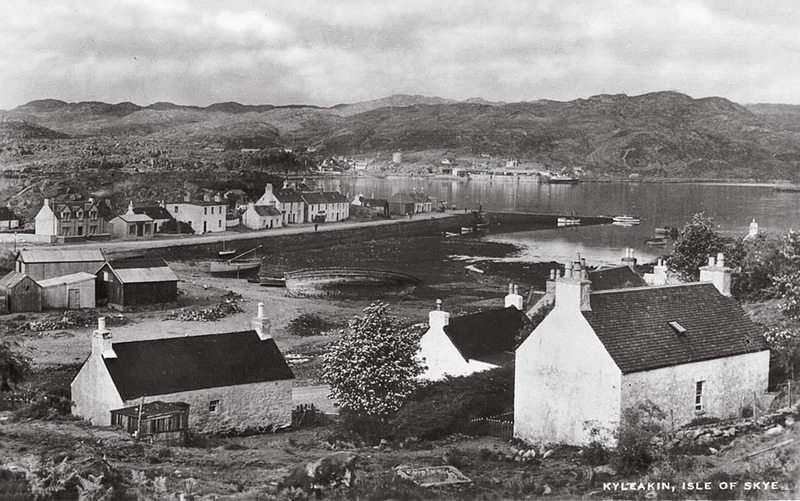 Skye is joined to the mainland by the Skye Bridge at Kyle of Lochalsh and it also has two mainland ferry connections from Mallaig and Glenelg, the latter summer only - read more. 2016 "The Year of Innovation, Architecture and Design"
Running from 1 January to 31 December 2016, is a celebration of Scotland's beautiful built heritage, culture and environment, alongside the contemporary and cutting-edge designs of today. Without Scotland, the television, telephone and even the raincoat may never have become part of our everyday lives. Our buildings give an authentic sense of place and our designers create high quality products to inspire the world. So whether you want to discover the innovation behind Andy Scott's magnificent Kelpies, or enjoy the splendour of a bygone era through Charles Rennie Mackintosh's iconic creations, come and uncover Scotland - you may just be in for a surprise! So join us and Visit Scotland! read more. A beautiful and inspiring region of ancient landscapes with a fascinating history. Witness the amazing wildlife and take part in some thrilling outdoor pursuits. Explore the many mountains and glens, the stunning islands and stretches of coastline and follow the country's only Malt Whisky Trail - read more. Archaeology for Communities in the Highlands (ARCH) was set up in January 2009 to provide a range of exciting and innovative community archaeology projects. It will provide opportunities to encourage people with diverse interests and abilities in the Highlands to learn about, record and participate in celebrating and increasing knowledge of their local heritage. ARCH is a registered Scottish Charity (No. SC040624) and a Company Limited by Guarantee (Company No. 353054) - read more. ARCH (Archaeology for Communities in the Highlands) is developing a project to allow communities throughout the Highlands to learn about, research and record Thomas Telford's remains. The scale of his work in the Highlands - almost 1000 miles of new roads, over 100 bridges of iron and stone, canals both large and small, many piers, harbours, churches, manses and even towns - means that there are Telford's remains in most areas of the Highlands. Yet despite these achievements, no comprehensive study of his impact in the Highlands as a whole has been undertaken. This project will allow people to look at the society, landscape and environment that Telford worked in and to build up a comprehensive picture of the heritage remains - read more. Historic Scotland is charged with safeguarding the nation's historic environment and promoting its understanding and enjoyment - read more. by Alister Farquhar Matheson This is a readable account of the often turbulent history of the Northwest going back to the days when the region was a frontier zone between Scotland and Norway and continuing through the Clan period to modern times. The story, set against the backdrop of Scottish history. - read more.